Health care professional who, under the supervision of a physician, administers oxygen and other gases and provides assistance to patients with breathing difficulties. Patient care provided intermittently in the home or institution in order to provide temporary relief to the family home care giver. Concurrent or retrospective review by practicing physicians or other health professionals of the quality and efficiency of patient care practices or services ordered or performed by other physicians or other health professionals. Review of an elective hospitalization prior to a patient’s admission in order to ensure services are necessary and should be provided in an inpatient hospital setting. 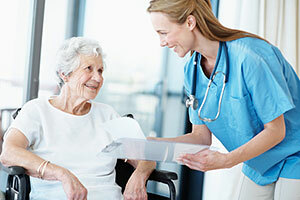 Evaluation of an admission, the use of ancillary services, and/or length of a hospital stay, using objective medical criteria to ensure services are medically reasonable, necessary and provided in the most appropriate setting.